Antisemitism. His predecessor was Ambassador Jiri Šitler. 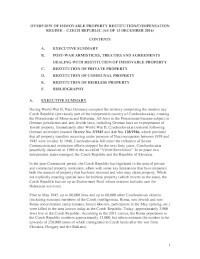 heirless property was sent to all 47 Terezin Declaration governments in 2015.